"Dei sub Numine Viget" means "God went to Princeton." And so did Batman. 1. "A small school in New Jersey" is your answer to the question "Where did you go for college?" "Where in Jersey?" "Uh, Central Jersey?" 2. Your excitement at seeing the colors black and orange has nothing to do with Halloween. But you do get excited for post-Halloween clearance sales. 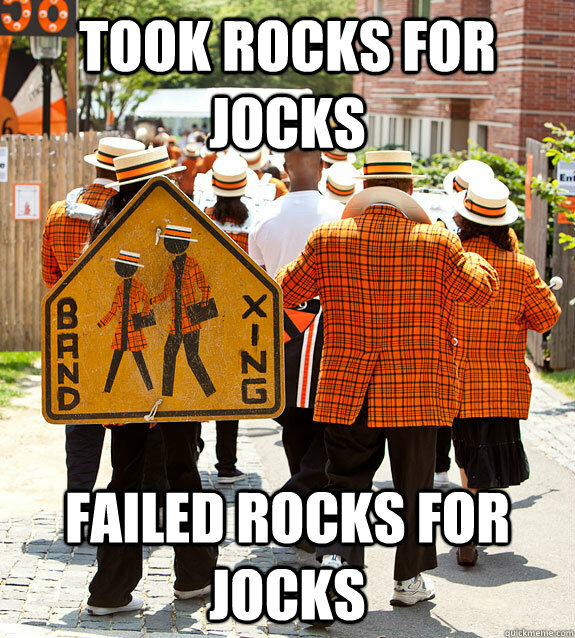 Cue the heavily discounted orange and black swag! 3. You keep purchasing obnoxiously orange clothing, even as you know, deep down, it is most assuredly NOT your color. It's no one's color, really. 4. Squirrels, particularly of the black variety, scare the living daylights out of you. Beware the black squirrel. They are crafty and will steal your cookies...and possibly your soul. 5. You took a class that was officially or unofficially called Rocks for Jocks, Stars for Stoners, or Physics for Poets. Just because it had a pithy name doesn't mean the midterm was easy. 6. 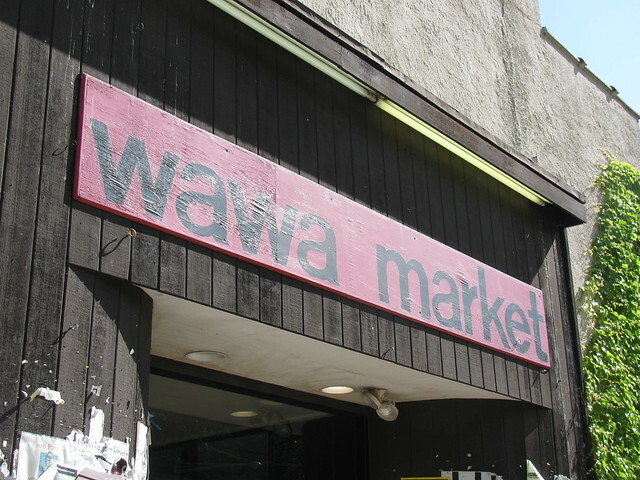 Even though "Wawa" has the same number of consonants as "The Wa," no one ever called it "Wawa." Contractions just don't make sense on campus. 7. You've tried to explain what an "eating club" is. And then got frustrated and just said, "It's sort of like a frat? A co-ed frat? Where we eat?" It's nothing like a frat. Except for the drinking part. That's fairly accurate. 8. You've wondered where President Shirley Tilghman hid the weather machine. And just where was that weather machine for Reunions 2010? Ice cold, torrential rain was not the business, Shirley! 9. Hoagie Haven is your Promised Land. And it just might take you 40 years to get there from Forbes. And you'd gladly sell your soul for a "Phat Lady." 10. You've humped almost every door you've ever entered while trying to Prox yourself in. Sure, we could take it out of our pocket, but what would be the fun in that? 11. You're not really sure when it happened, but Journey and Bon Jovi became the soundtrack to your life. And you kind of hate yourself for missing out when he was at the 25th last year. 12. 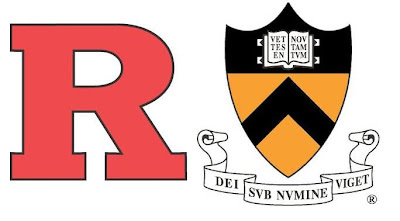 You have a love/hate relationship with Rutgers that no one really understands. But you know it has something to do with cannons. 13. 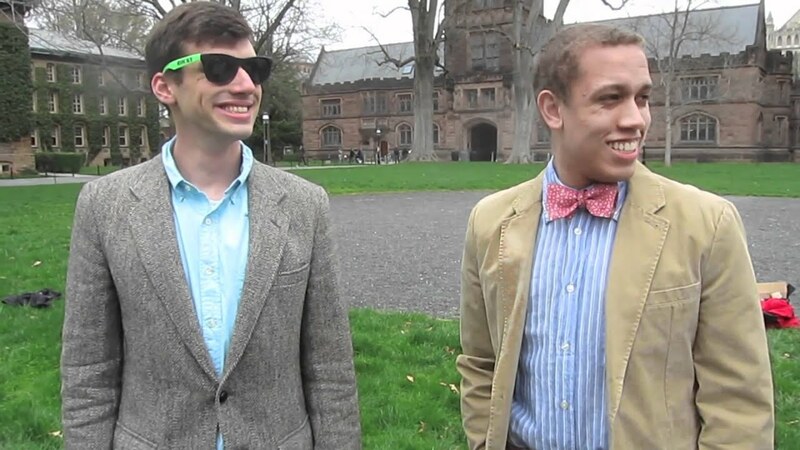 You refer to Harvard, Yale, Columbia, Dartmouth, Brown, and Cornell as safety schools. 14. You keep forgetting that the University of Pennsylvania is an Ivy. It's pretty much interchangeable with Penn State, right? 15. You have participated in an annual holiday known as "Newman's Day." 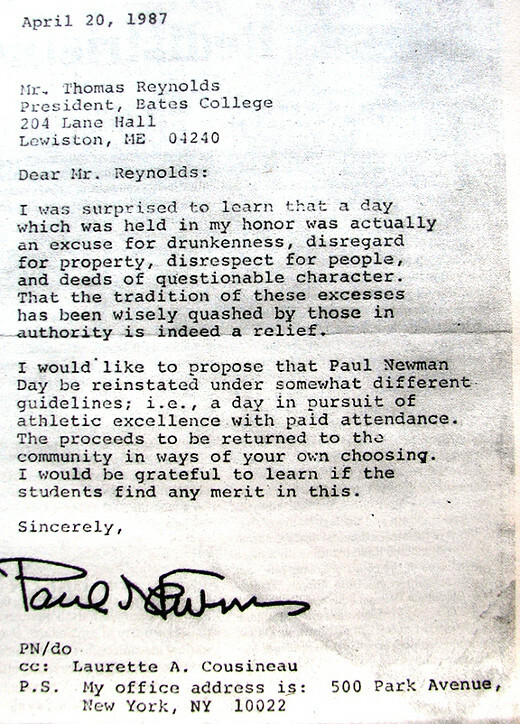 Paul Newman had to officially deny any involvement because it's just that epic. C'mon, Paul. 24 beers in a case, 24 hours in a day. Coincidence? I think not. 16. You watched "House" just to see the back of Frist in the opening credits. Sidenote: If your doctor ever says they got their medical degree from Princeton, find another doctor. There is no Princeton Medical School. 17. You never ate breakfast, but always got Late Meal. 18. You know that DJ Bob pumps the sweetest jams. You also don't care that not every DJ associated with DJ Bob is actually named Bob. 19. Walking from Forbes to Charter was the longest walk you ever took on a Friday night. Walking from Forbes to anywhere was the longest walk you'd take at any time, really. 20. You feel like a habitual name-dropper every time you mention your professors. "Oh yeah, T-Mo, I'm sorry, Toni Morrison, gave me a B+ on that paper." Don't ever call her "T-Mo." 21. 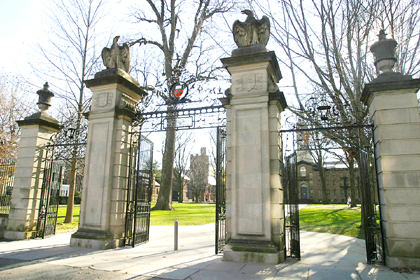 You waited four years to walk out of Fitz-Randolph Gate. 22. You also spent four years finding every possible way to avoid walking IN Fitz-Randolph Gate. Does it count if you automatically backtrack? Or does that count twice? 23. The words "grade deflation" still fill you with impotent rage. 24. You've watched as turning in papers on Dean's Date evolved from a spectator sport to a full-blown circus. Turn in your papers on time, get kettle corn and ice cream. I can't hit deadlines anymore without salivating. 25. You either couldn't wait for a Holder Howl to start or you couldn't wait for the Holder Howl to end. Some of our traditions are awesome. Others are an acquired taste. 26. You have experienced the foul odor and rank, fetid taste of the swill called "Beast." And then you kept drinking it every Thursday and Saturday for four years. 27. You may have played croquet ironically to freak out prospective students. You may also have played it non ironically just because you can. 28. You have witnessed a Quidditch match outside buildings that look like J.K. Rowling herself dreamed them up. 29. You're offended when someone mispronounces "Mathey." 30. You're even more offended when someone doesn't capitalize the "R" in Reunions. I don't have a standing block on the last week of May every year for just a "reunion." And regardless of your symptoms, the only diagnostics McCosh seemed to run were for mono or pregnancy. Even if you came in with a swollen ankle. 32. You've sat on park benches, at desks, and in buildings older than this country. On campus. Cannons damaged Nassau Hall during the American Revolution. And our boy, Aaron Burr, Class of 1772, popped a cap in Alexander Hamilton. Making him the first vice president to get away with shooting someone. 33. You don't know what it means to actually care about football when you're not playing against Harvard or Yale. 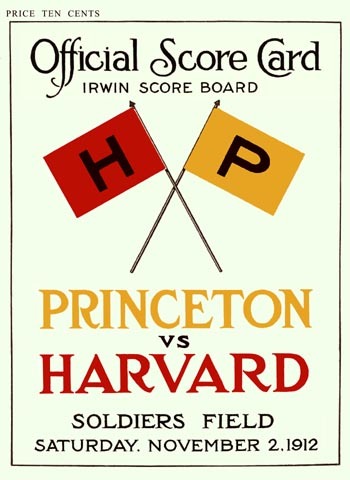 If we beat both Harvard and Yale in a single season, we get a bonfire. There's just incentive there. 34. You know that "The Street" is actually an avenue. You also have embarrassing stories about each and every eating club on The Street. 35. You know that two-ply can win elections. You can have my vote in exchange for two-ply. No, seriously. 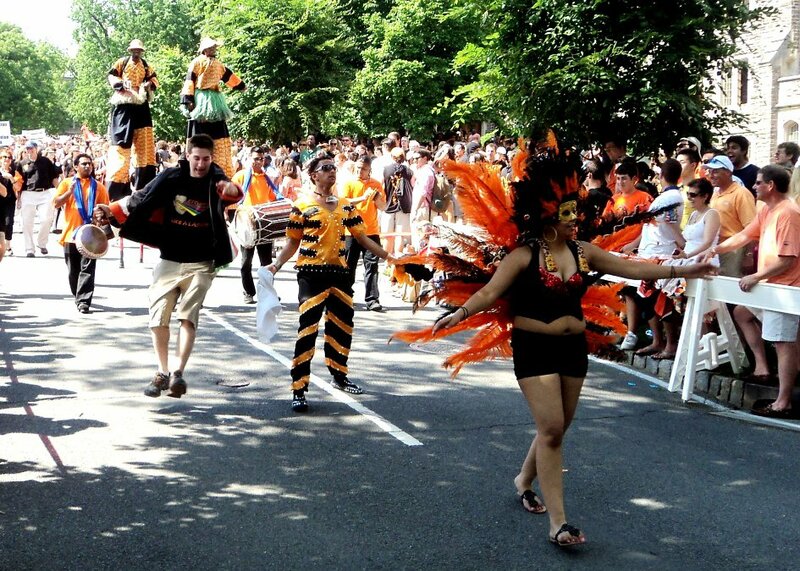 This is actually a platform for political change at Princeton. 36. 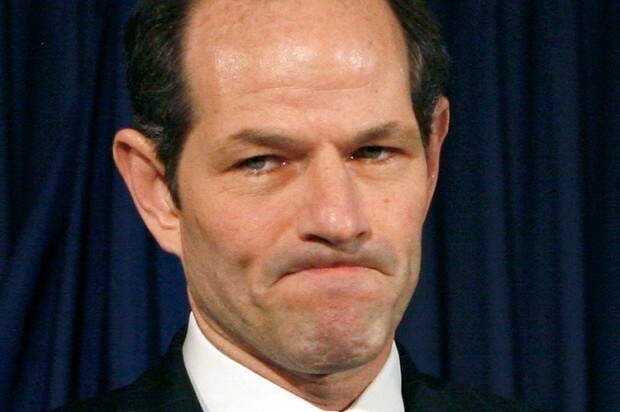 You feel abject shame whenever someone mentions Eliot Spitzer. And any other disgraced alum (See also: General Petraeus). 37. You've been a victim of the extortion racket that is NJ Transit. It's never on time, but it's always overpriced. 38. You know that "this door is a means of egress and must be recognizable as such at all times." Even though you and the fire inspectors know that putting a poster on your door or a banner near your door doesn't make it suddenly not a door. 39. You still know the Triangle Club's "Honor Code" song by heart. You really wish you could forget it. 40. You've spent inordinate amounts of time stalking celebrity alumni on TigerNet. 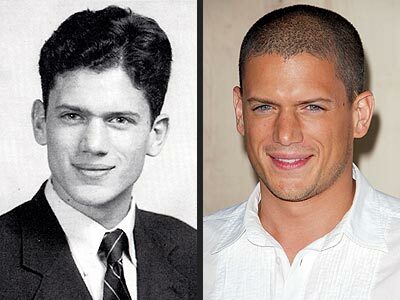 I'm coming for you, Wentworth Miller '95. 41. You have an irrational hatred for any color described as "crimson." Burgundy is cutting it close as well. 42. Your pre-orientation program involved spending a week either sleeping in a fire station in Trenton or going without deodorant in the woods. Not pictured: bears, deer, raccoons (all of which will try to eat your food), trail mix affectionately known as GORP. Nothing says bonding like inhaling each other's B.O. for a week. 43. Graduation took three days. And you're not really sure which date to list as your actual graduation day. We've been sitting here for THREE DAYS. And most of the speeches are in Latin. Can we go now? 44. You may not know all four verses to your alma mater, but you do know how to wave an imaginary top hat. Just keep your fist closed as you "Hurrah." No need to look like the Third Reich over here. 45. You return for Reunions every. single. year. Besides the nostalgia, the camaraderie, the free beer, and the networking, there's also the sheer entertainment factor of scenes like this. Where else can you find tiger print speedos? Wait, I really don't want to know the answer to that. 46. You know that this really is the "best damn place of all." Hip! Hip! Rah! Rah! Rah! Tiger! Tiger! Tiger! Sis! Sis! Sis! Boom! Boom! Boom! Ah! Princeton, Princeton, Princeton!